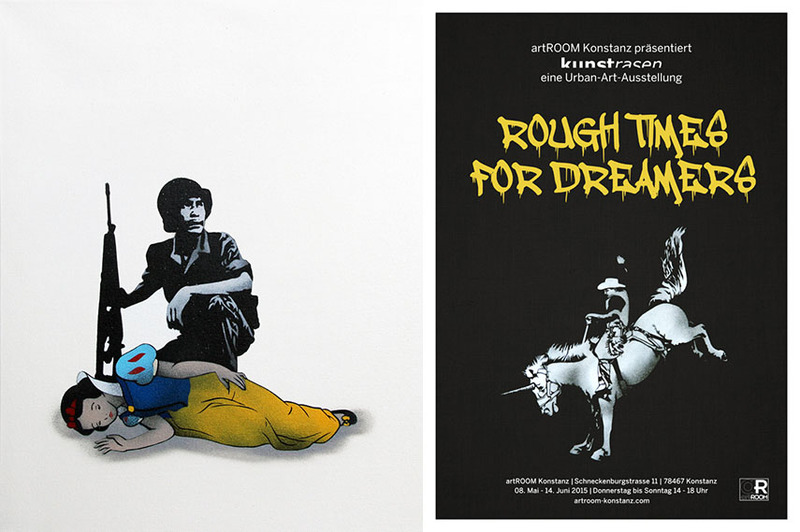 Amidst the rapidly converging realms of stencil graffiti and contemporary visual art, Kunstrasen’s gritty and challenging new solo exhibition, Rough Times for Dreamers, at the artROOM Konstanz is sure to make waves by challenging gallery audience’s eager consumption of mass-produced urban images. 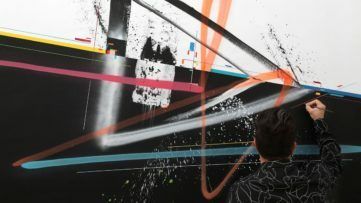 Rough Times for Dreamers is considered to be first solo exhibition of Kunstrasen, a chance to finally see his audiences in a different environment discussing his artworks. Now, when street art is being pulled out of the streets and taken into the galleries, Kunstrasen offers us a new reading of the problem. Kunstrasen derives his name from the German term for astroturf, or fake grass. In addition to a sly bit of wordplay (kunst = art), his chosen moniker is relevant to many pressing questions in the art world today, particularly those relating to issues of authenticity, mimicry, and mass production. 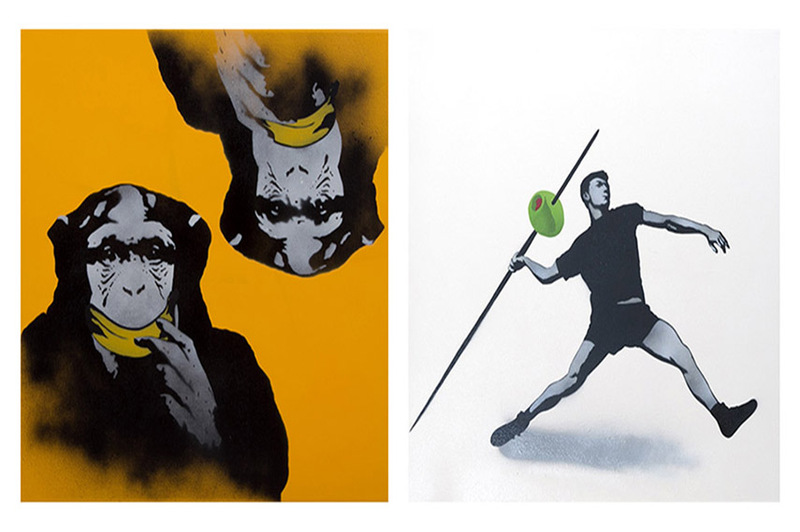 In a landscape dominated by Banksy clones attempting to cash in on the sudden popularity of a medium which can be rapidly and cheaply produced, what is the value of a form when it becomes divorced from the danger and transgression inherent in the origins of street art? The Field May Be Astroturf, But What Sport Are We Playing? A tough question, certainly, but one that will hopefully be answered by Kunstrasen at the artROOM Konstanz. When first confronted with the works of Kunstrasen, they may seem superficially indistinguishable from the works of any of the horde of Banksy wannabes – but to pass judgement in this way would be hasty. 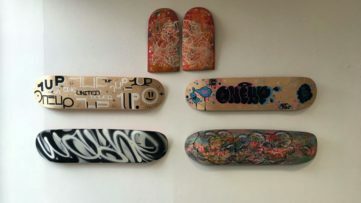 In fact the homogeneity of the market and the proliferation of mass produced, gallery-ready street art is the subject in Kunstrasen’s crosshairs as he prepares a collection of works to be exhibited at the artROOM Konstanz. By displaying works that seem visually derivative, and selling them straight from the gallery floor (and, the press release cheerily boasts even in artROOM’s new online-shop! ), Kunstrasen is inviting you not just to exit through the gift shop, but to log out through the gift shop, as well. In this aggressively marketed world of mass consumption, the role of the audience as consumer is particularly interesting, and the choices you make as a participant inform the meaning of such an exhibition. 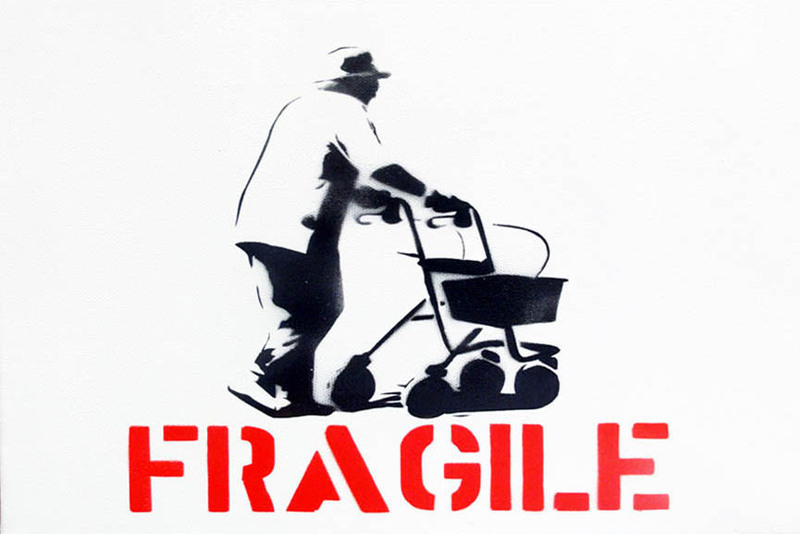 Kunstrasen prefaces an explanation of his work by appropriating an appropriated quote (by Banksy, of course) which is the key to an understanding of this work. 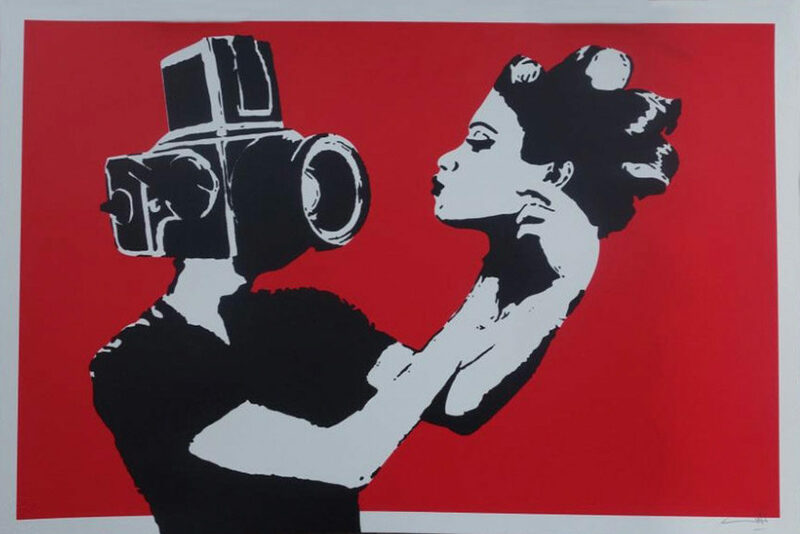 Bad artists imitate, great artists steal – Pablo Picasso – Banksy. 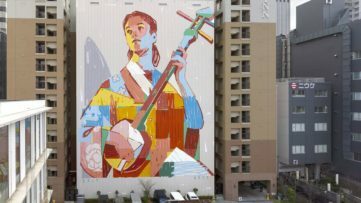 This type of irony-based, referential work is doubly dangerous for an artist: one the one hand, it is possible to overdo things: resulting in artless and obvious proclamation about the state of the arts. On the other hand, if the message is disguised to subtly, the irony might be missed, and the work runs the risk of adding to the accumulation of material which it is attempting to criticize. In order to determine whether Kunstrasen has made an important reclamation which toes this line, be sure to attend Rough Times for Dreamers at artROOM Konstanz 08 May – 14 June 2015. And don’t forget to exit through the e-giftshop. 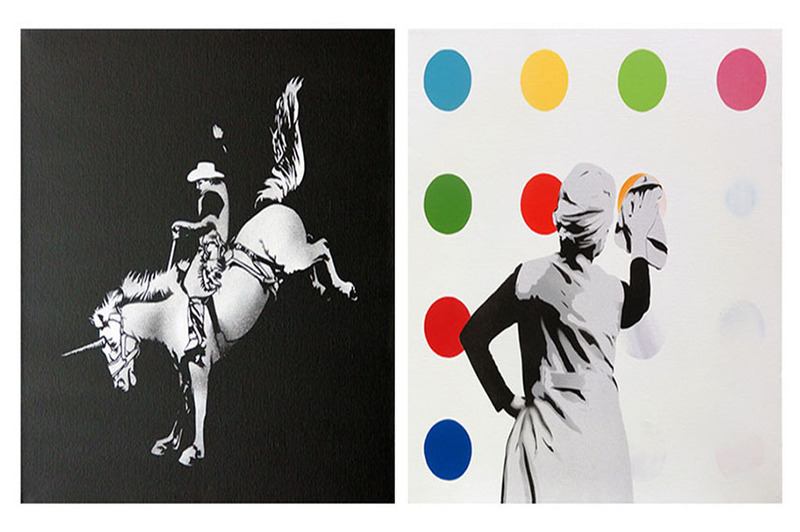 To stay up do date with our exhibition announcements, please, sign up for MyWidewalls now! All images are courtesy of artROOM Konstanz.